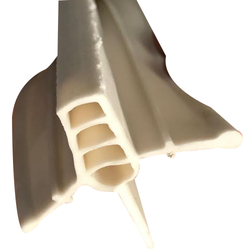 PVC water stops are profiles based on specially formulated plasticised PVC compound. 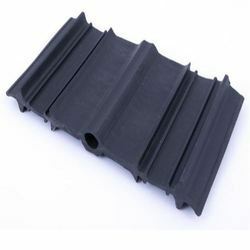 These are designed to meet specific requirement of building industry. It essentially is a device against possible risk of discomfiture that tends to be caused in concrete structure following climatic, Geo-disturbances and frictional impasse. Leveraging on our extensive market knowledge, we are providing a high quality range of PVC Water Stop Seals. Our company is engaged in the manufacture and supply of PVC Water Stop Seal suitable for construction of hydraulic structure . Rubber Traders (india) Pvt. Ltd.
We offer pvc water stop seals that are made of superior raw materials. Water stopper also withstands expansion and contraction of joints as well takes care of any deflection and displacement arising due to change in temperature or settlement of foundation eliminating dangers of cracks since these is engineered as water tight seals in poured concrete structures.